A charm inspired by the Lone Star State. 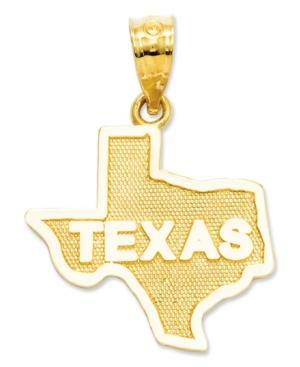 Embrace the South with this state of Texas charm, crafted in 14k gold. Chain not included. Approximate length: 8/10 inch. Approximate width: 6/10 inch.